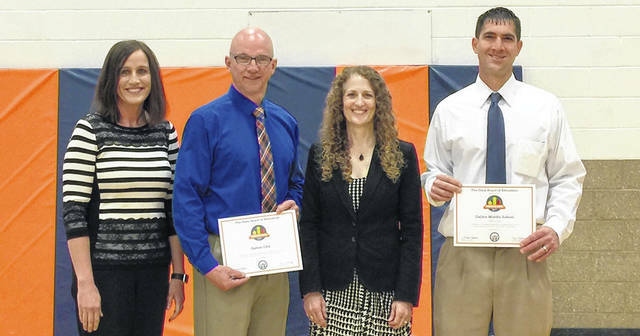 GALION — The Galion Middle School has received a 2017 Momentum Award from the Ohio Department of Education. The middle school was one of 219 schools selected out of more than 3,000 statewide to receive this award. The Momentum Award is presented by the State Board of Education and recognizes schools for exceeding expectations in student growth for the year. Galion Middle School received an A on the state report card in four areas of achievement designated by the Ohio Department of Education, including Overall Achievement, Gifted, Students in the Lowest 20% of Achievement and Students with Disabilities.